Here’s the set-up in great clarity; again, note that the trade closes before earnings since GOOGL reports earnings after the market closes, so this trade does not make a bet on the earnings result. Here’s a visual representation, where the stock price 7-days before earnings (circled) is above the 50-day moving average (black line), and therefore triggers a back-test. If the stock price fails the technical requirement, it’s fine, we just put a pin in it and check next quarter. Notice that while this is a 3-year back-test and we would expect four times that many earnings triggers (4 earnings per year), the technical requirement using the 50-day moving average has avoided 2 pre-earnings attempts. In other words — it’s working. With a similar set-up, we examine the same phenomenon — that is, pre-earnings bullish momentum. 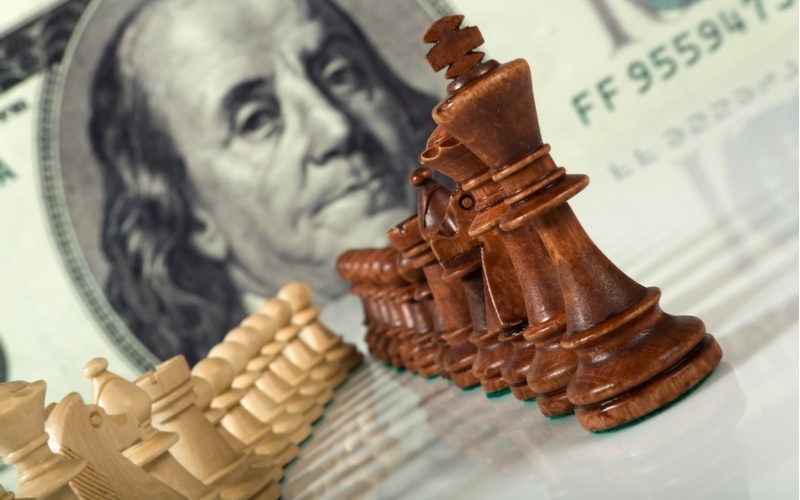 But, this time, rather than backtesting owning a call option with the earnings date occurring in the options expiration period, we look at the other side. We examine selling a put spread in options that expire before earnings are announced. 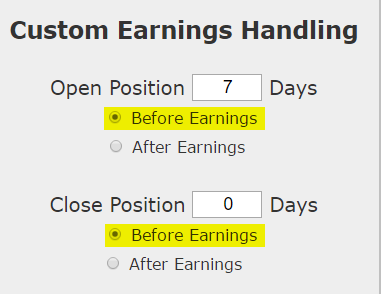 Specifically, we look at opening the trade 7 calendar days before earnings, selling a 40 delta / 10 delta put spread, in options that expire the closest to 5-days but before the earnings date. We don’t us any stops or limits — this backtest simply waits until expiration. 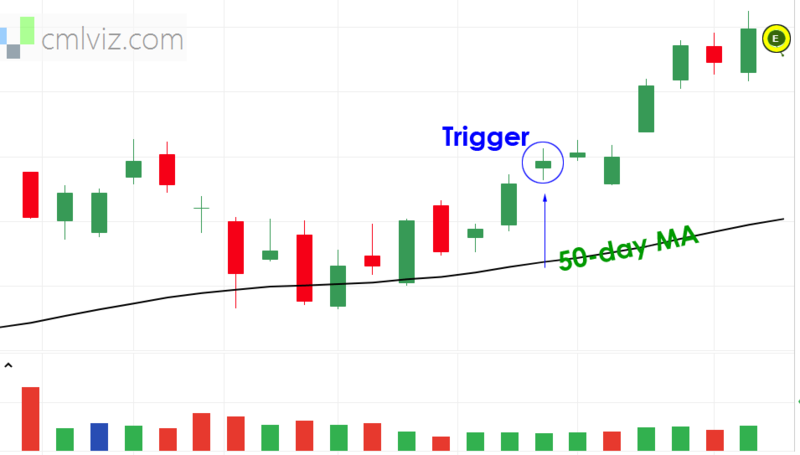 We also note that the technical requirements with the stock above the 50-day moving average, are identical — this should result in the same number of trades. This is a trade, unlike the long call, that takes a position on the stock that is simply “not bearish,” as opposed to aggressively bullish. Here are the results over the last three-years in Alphabet Inc for the short put spread — again, since these options are selected to expire before the earnings dates, this backtest does not take earnings risk. Don’t trade blind, please. Try pattern recognition.